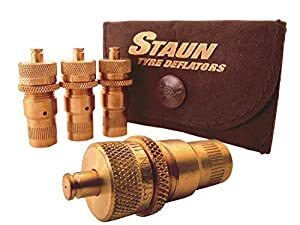 Best Tire Deflators Reviews: Only 10 Out of 200+ for April 2019! Looking for Top Rated Tire Deflators? View the List Below! When it comes to airing down, you want gear that does it as efficiently or as effectively as possible. Ideally both. That’s because airing down is a crucial part of off-roading. It helps you protect your tires, as well as gain traction and adapt to different kinds of terrain. Sure, it’s possible to improvise and air down with similar-shaped hardware, like a screwdriver. In fact, most off-roaders have done this in a pinch at one point in time. The advantage of having a best tire deflator is that it lets you do this safely and accurately. Get this done in significantly less time, so you can get back to doing what you want to. Professional tire deflators have evolved significantly over the past few years. Valve stem pullers used to be popular for this task and were small enough to fit in your smallest pocket. It was a simple way of doing it, but somewhat time-consuming. It required you to repeatedly screw the stem back in when you wanted to check the pressure. As many off-roaders have experienced, air could also leak out extremely fast, making it easy to over-deflate. For today’s four-wheeler enthusiasts, there’s a whole new world of heavy-duty gear created for this purpose. Newer models let you air down quickly and check your psi on the go with a dial gauge. You can even buy a set of four and pre-set them to your desired pressure for a totally hands-free option. Often sold in compact kits for easy transportation, they turn one of the most tedious parts of off-roading into a breeze. The question, however, remains. How do you choose the best tire deflator? If you’re a hobbyist, do you really need a kit with multiple parts and attachments? Is it worth it to pay upwards of $50? And how simple are the newer tire deflators when it comes to operating them on the go? We’ve rounded up some of our top picks. We’ve chosen these options because they’re affordable, well-made and simple to use. When it comes to affordability, durability and practicality, it pays to know your options. At almost $60, OasisTrailhead tire deflators is definitely one of the pricier models. However, it comes with a complete set, including 4 aluminum deflators, an ultra-light pressure gauge, pressure chart and instruction card. The kit packages up nicely in a high-quality leather kit, for a slightly more elevated look. Made from alloy aircraft aluminum, this is a high-quality and durable model that still feels light. The leather kit has a high-end look but may need some treatment to keep it looking its best. 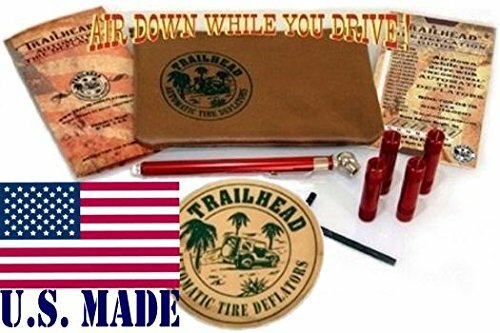 Oasis Trailhead tire deflators are sold in a kit, the product includes four screw-on deflators and is marketed for those who want to air down fast, while driving. Though it includes a pressure gauge, its main selling point is that you can pre-set your pressure. Because the adjustment points are inside the body, you can set your pressure and air down on the go. You can also deflate all four tires at once, a major time-saver. ARB E-Z tire deflator is more of a mid-range product. For this price, the package comes with a single deflator and tube gauge, plus a protective pouch. The deflator itself is made from corrosion-resistant brass, while the tube is made from bronze bourdon, both quality materials. The gauge is designed to be unaffected by changes in temperature or altitude. For those who are all about simplicity, Arb tire deflators are a great option. The device allows for rapid manual deflation, while providing an accurate pressure reading. The gauge can be read using a simple sliding valve. As a bonus, the bright orange pouch can be spotted easily amongst your gear. 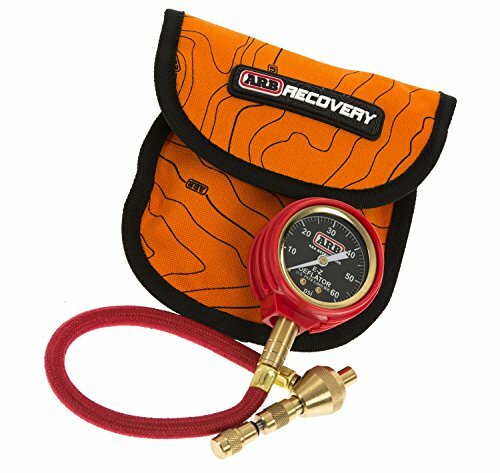 Priced in a similar fashion as the Arb model, the Currie tire deflator gives you a deflator, tube gauge and storage pouch. Made from high-quality brass with a canvas pouch, this is a durable product that’s low on frills. Again, this is a simple and effective way of airing down, allowing you to release air while monitoring on the gauge for optimum accuracy. Not everyone is a fan of airing down one wheel at a time, which is one downside of this model when comparing Currie vs Arb tire deflator. 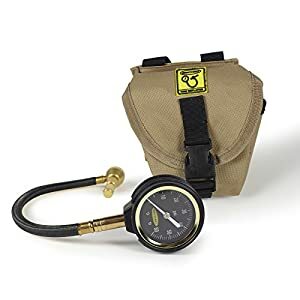 Teraflex Custom E/Z tire deflator is a fairly standard package for this range and comes with a brass deflator, 2-inch dial gauge and a simple protective pouch. Another basic kit of high-quality, the model features a heavy-duty brass deflator and a sealed bourdon tube. The gauge is calibrated, meaning it’s resistant to temperature and altitude changes. A basic pouch keeps it protected. This is an extremely simple and practical model that allows you to check pressure accurately while deflating, eliminating guesswork. Though it doesn’t allow for multiple tire deflations at once, it’s easy to use and comes with a convenient pouch to keep all parts together. 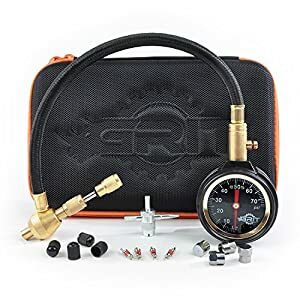 Smittybilt Rapid Tire deflators is an affordable model that features the standard components; a brass deflating tool, tube gauge and a canvas pouch with a plastic clip. Considering its price, this is a durable model. With knurled brass knobs and a nylon braided hose, it stands up well to regular use, though the pouch doesn’t have the sleek look of some other models. This is a good option if you’re looking for an affordable deflator kit that doesn’t compromise on quality. It has a no-frills design but incorporates all the perks of today’s heavy-duty, rapid deflators. Staun tire deflators is a set of 4 heavy-duty deflators comes in on the pricier end of the scale. They come in a luxe and durable genuine leather case. 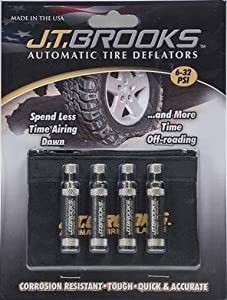 tire deflators for beach driving. Many people like this option for its “set-it-and-forget-it” properties. Just pre-set your pressure, screw each deflator into a tire valve and let it deflate. It’s almost completely hands-off and you can do all four tires at once. The price point is somewhat higher than a tool and tube gauge model, so this must be weighed against its efficiency if you’re on a budget. 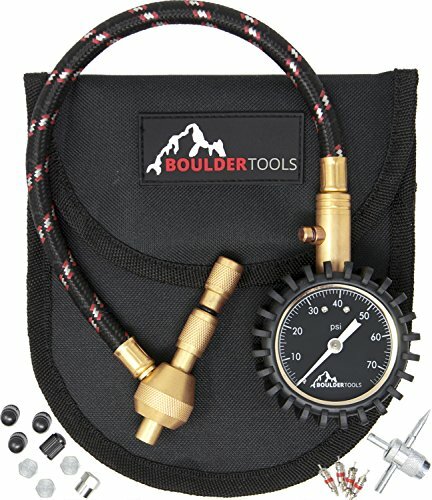 Boulder Tools tire deflator is an affordable option for those that prefer the single deflator and tube gauge option. This product features rust-resistant brass, a durable braided hose and a rubber gauge cover for maximum strength. A canvas pouch keeps everything together and should hold up well under the elements. This is an easy all-in-one-model that lets you air down each tire at a time while simultaneously checking the pressure. It includes step-by-step photo instructions, which is a great perk. Coyote tire deflators which is on the higher end for deflators in general, but fairly standard for this particular kind. 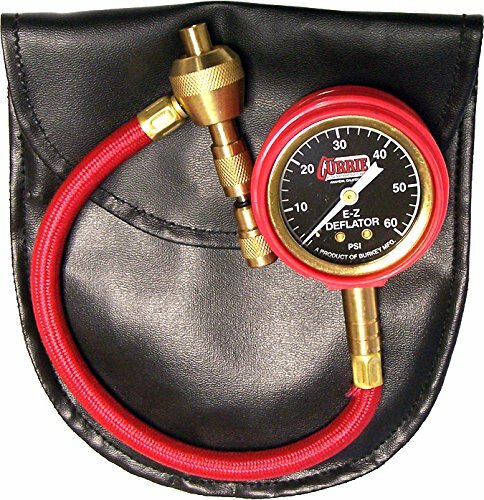 The four solid brass deflators also come with a leather pouch. A durable leather pouch keeps them together. Simple and speedy, these can be screwed into the tire valve and deflate on their own. You can pre-set to your desired psi and they stop bleeding once they reach the setting. JT brooks deflators with four-pack model comes up higher on the quality scale than it is on the affordability scale. A unique model, these are nickel-plated for optimum durability and feature stainless steel springs. They’re also corrosion-resistant. Though pricey, this is your best option if you want to save time. Just pre-set your desired pressure, screw a deflator into each tire and let them bleed air. It’s almost completely hands-off. Grit Performance Rapid tire deflator kit packs a lot of parts into one package, including replacement tools and a zippered case. The kit includes a lifetime guarantee, along with a corrosion-resistant brass deflator and a tube gauge with solid rubber housing. This is a great starter kit. In addition to being affordable, it comes with a deflator, pressure gauge, chrome valves, full-colour instructions and replacement tools. Despite its price, this is one of the most well-designed kits. The zipper makes it easy to store all the parts and the solid foam design gives it structure. Q: Why are some deflators sold in packs of 4? A: A: Many rapid tire deflators are sold in 4 packs so you can air down all four tires at once. Simple pre-set to your desired pressure, insert each deflator and let them bleed excess air until they stop automatically. Easy! Q: Why do some models come with a pressure gauge? 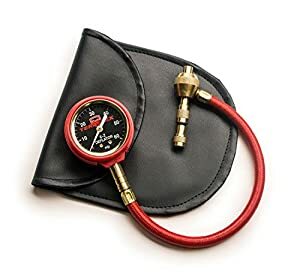 A: The tire deflators that come with a pressure gauge are the ones that can’t be pre-set to a desired pressure. 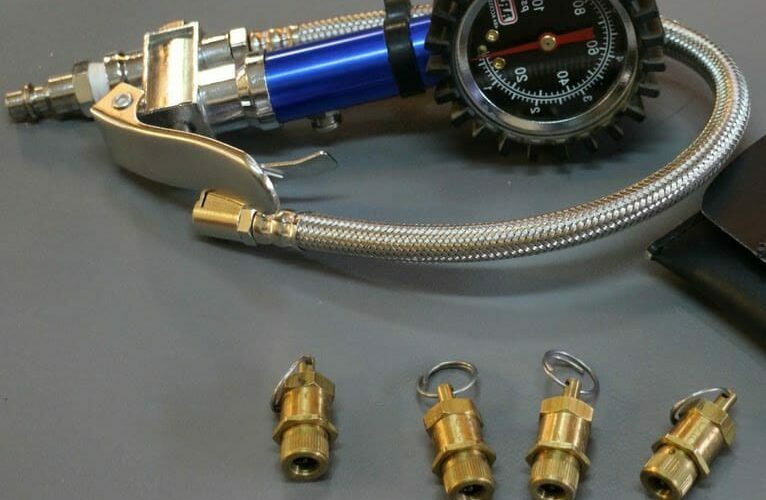 The gauge attaches easily so you can consistently evaluate the pressure as you air down. Q: Can you attach a tube gauge to a pre-set deflator? A: The pre-set deflators are designed to allow you to customize your desired pressure, but they don’t typically come with a gauge. Many people like the “set-it-and-forget-it” aspect of these, but if you want to be able to consistently evaluate your pressure, your best option is a single deflator that attaches to a tube gauge. Q: Which option is better? A: For the most part, it’s a matter of personal preference. The four-pack, pre-set kind tends to be on the more expensive side, so it might be a matter of budget, too. Being able to air down all four tires while you are busy doing another task is a great perk of the four packs. However, some people like the tube gauge option because it lets them view the pressure as it’s actively deflating. 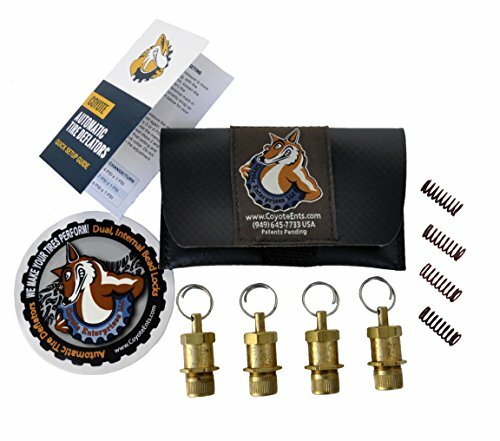 Q: If you purchase the ones that let you pre-set pressure, can you insert them before you hit the trail so they’re ready when you need to air down? A: With some models, technically yes. However, it’s not generally recommended, as you increase the possibility of damage. If you’re on rough terrain, you could get them clogged up with mud or gravel, which is a pain to get out. Inserting them individually into each tire valve after you’re stopped doesn’t take that much time anyway. Balancing affordability, durability and ease-of-use is a key part of choosing off-road gear. You want something that lasts long and does the job, while being a good use of your time and fitting into your budget. Whether you’re a seasoned four-wheeler who hits the trails daily or you’re a new convert to the dynamic world of off-roading, you’ll be taking all these things into consideration. Airing down doesn’t have to be time-consuming. With the influx of contemporary tire deflators, it’s easy to choose a product that suits your needs and preferences. It’s a crucial part of the off-roading experience, letting you adjust to different terrain and enjoy a smoother ride, so it pays to be thoughtful about your purchase options. We hope this list incorporates a solid range of budget options, styles and methodologies. After all, who has time to spend researching products when there are way better things to be doing … on the trails.